The name Low Thia Khiang is pretty familiar to those in the older generation. However, perhaps due to mainstream media and ‘national education’, many youngsters who were born in the 1990s do not know much about him. In my opinion, the mainstream media in Singapore (ranked 154th out of 180th in press freedom globally) often puts more focus on the AHTC issue rather than other issues raised in parliament. How do you explain the fact that his team in Parliament spoke up so many times in parliament but received little coverage in comparison? Low turns 60 years old on 5 September 2016. So, I decided to write this post to document some issues he spoke up about in the recent years. Of course, my blog entry will not include every single issue he has covered. To cater to the short attention span of netizens, I’d focus on 8 recent and interesting issues he has spoken about. 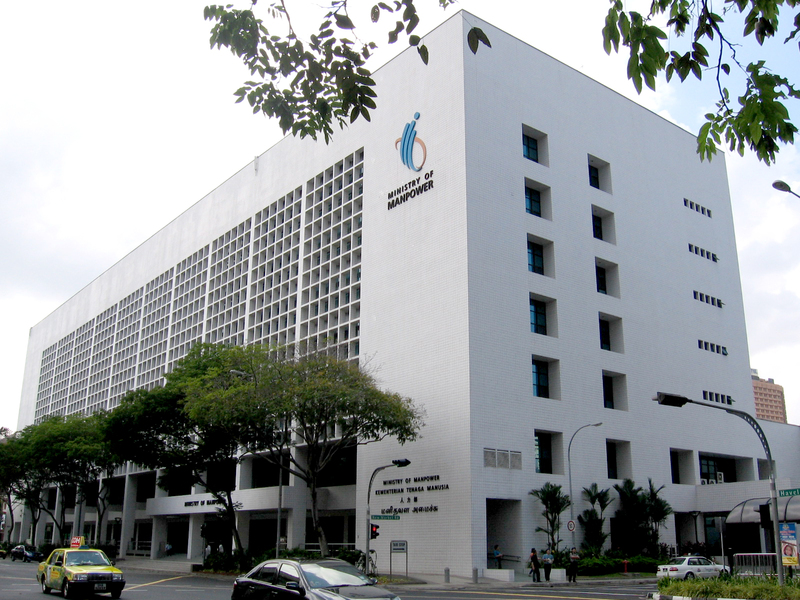 A recent Household Expenditure Survey revealed that families in Singapore collectively spent $1.1 billion per year on tuition. This is almost double the $650 million spent 10 years ago. This phenomenon, especially in bell-curve system, has affected those from poorer families who could not afford tuition like their richer peers to keep up. During the budget debate on the estimates for the Ministry of Education in 2013, Low Thia Khiang expressed concerns that private tuition fees have become a financial burden to many families, with the stressful education system and the cost of educating children not encouraging Singaporeans to start families. “At the budget debate last year, Minister for Education seemed to suggest that tuition is quite normal as it happens everywhere all over the world and that this is a sign of parents having high aspirations for their children’s success in education. While this may be true, is the Minister not concerned when private tuition appears to have virtually become a parallel system to our publicly funded education system? …Families spend more on private tuition then on university tuition fee. Private tuition fee has become a financial burden to many families, especially those from the middle-income group…. If our schools could provide the additional support for weaker students to boost their academic results to assure parents that their children are able to cope with schoolwork, it would ease the anxiety of parents from sending their children for tuition…Schools should also be mindful not to feed the anxiety of parents and putting unnecessary pressure on students by purposely setting difficult questions in routine assessment test to fail students in order to spur them to work harder. Most who have visited specialists via public hospitals or who accompany our elderly parents for their medical appointments would who know how long it takes to get an appointment with a specialist. Low Thia Khiang spoke up on this issue recently during the Ministry of Health Committee of Supply Debate 2016 that he received feedback from a patient who needed to wait for 6 months to see a lung specialist, and another 3 months for the biopsy results. He was concerned that this long wait would result in a patient’s condition could deteriorate and he could develop complications which are harder and more expensive to treat. Long waiting times for appointments and medical investigations at Specialist Outpatient Clinics (SOCs) for subsidised patients, have been a longstanding problem. I asked about this during the COS debate three years ago, and was assured by the Minister that MOH adopts a “multi-pronged approach” to address the queues at our SOCs. However, three years have passed and the situation does not seem to have improved. I have received feedback from a patient who needed to wait for 6 months to see a lung specialist, and another 3 months for the biopsy results. During this long wait, a patient’s condition could deteriorate and he could develop complications which are harder and more expensive to treat. The long waiting times seem to affect subsidised patients much more than unsubsidised patients. Are these long waiting times a way that SOCs regulate subsidised patients’ demand for their services? Or are they due to insufficient resources being made available to meet subsidised patient demand? In view of our ongoing problem of low birthrates, the main policy solution was basically the baby bonus. While this is generous, the Baby Bonus hasn’t been as effective in targeting the real reasons. Some Singaporeans cited high cost of living, poor worklife balance and stress as reasons for low birthrates. “Without a total fertility rate recovery plan with clear targets, our birth rates are not going to go up. So when 2030 arrives what solution are we going to turn to? Immigration again? Another White Paper to project a population size of 10 million for 2050 as a road map? While Low was previously accused for flip-flopping on foreign workers issue, this is not the case as his view has always been consistent – WP is not an anti-immigration party. It welcomes those who could contribute to Singapore, but immigration must ultimately benefit Singaporeans. His solution to the problem? Low believes it is in the interest of Singaporeans and our economy that the government should calibrate the dependency ratio of foreign workers by specific industry in order to be more effective in managing the inflow of foreign workers without hurting the business and our economy too much. Is the distinction important? The answer is ‘Yes’. It tells Singaporeans that more jobs did go to them. It tells Singaporeans that distinction between PRs and them goes beyond a mere difference in fees charged for education and healthcare. It tells Singaporeans that jobs are indeed created and reserved for them. I am sure this house did not forget that Singaporeans did not even enjoy any significant fee advantage in education and healthcare when compared to PRs as recent as five years ago. So let’s make the distinction clearer. Let Singaporeans know more jobs did go to them in 2010 and more are reserved for them in the next decade. This is the true spirit of Singaporeans first. PS: I just checked the most recent labour force report and it seems that Singaporeans and PRs are still being grouped in the same category “Residents (also known as locals)”. There has been a rise in molestation cases in the past few years especially on public transport. On average, there are 71 cases of molestation that take place in MRT trains reported every year. According to the former Public Transport Council president Gerard Ee said then that the rise in such cases “is likely due to the public-transport system being more crowded.” Just this year, an engineer and dentist were jailed for molesting women on MRT trains. The issue of underreporting is definitely of concern. In a recent Straits Times article titled ‘Sexual crimes remain under radar in Singapore“, the author highlighted that women tend to keep mum as they fear the publicity that goes with dragging these cases to court. Others keep mum for fear that they would be disbelieved or bring shame on their family. Molesters get away with their crime most easily when trains are packed during peak hours, with people standing very close to each other. I doubt the current attempts at public education are working. National Crime Prevention Council posters in public transport showing a male attempting to molest a woman from behind and asking women to protect themselves may be backfiring. Internationally, such anti-crime campaigns and posters have been criticized for putting the onus on women to prevent the crime and promoting a culture of blaming the victim for the crime. I urge the Minister to mandate the MRT service providers to have prominent signs on the floor and the doors, and within the cabins, to designate specific cabin as for women only…. Japan and Taiwan have implemented women only cabin with success..Although not all women will choose to take these cabins, but at least those who feel vulnerable or have had bad experiences will have the option of traveling to work and back home to their families with peace of mind. This idea was also raised by MP Dr. Lily Neo. I personally support this suggestion as someone who has a close friend who was molested on the train but did not report it due to lack of evidence and fear of ridicule. During the budget debate this year, Low called for funding from the 3Ms and other insurance plans for mental illnesses to be on-par with coverage for other conditions. He added that companies need to be encouraged to provide equal levels of support and coverage for employees who suffer from mental health issues. “Currently, our 3Ms framework allows support for mental illnesses, but are limited. For example, Medisave has a withdrawal limit of $150 per day for inpatient psychiatric treatment, with an annual cap of $5,000. Compare this with daily limits of $450 for other patients who have been hospitalised. For Medishield Life, the difference is even greater, with a daily coverage of $700 in a normal ward, but $100 for a psychiatric ward…. Low also spoke up for patients with mental illnesses in 2012 and during the COS debate in 2015. In addition to bread and butter issues, Low also spoke up regarding environmental issues. 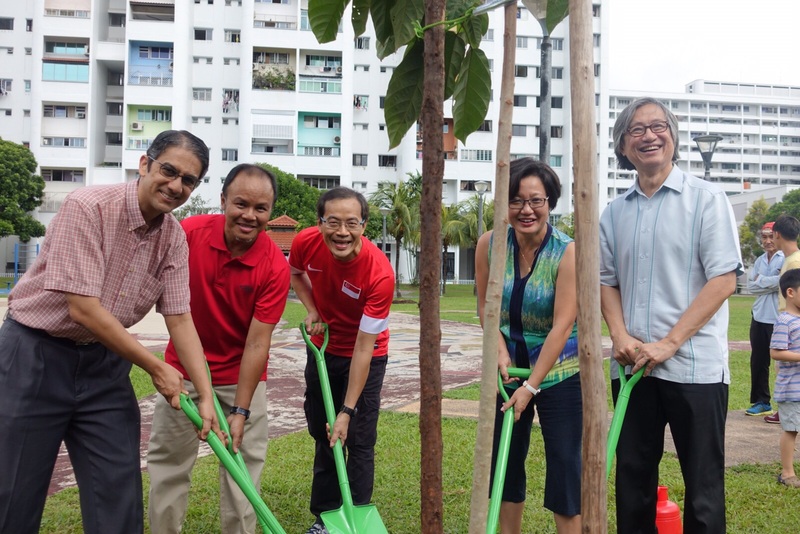 He urged the MND to roll out the Greenprint initiatives ‘as soon as possible to all eligible HDB Towns in view of the national push towards productivity and escalating costs of town maintenance’. For those who are unsure about this initiative, it aims to combat global warming and environmental degradation by infrastructure such as solar panels, sensor-controlled LED lightings, pneumatic waste conveyance system, and enhanced pedestrian networks. Pneumatic refuse collection system The old design of individual bin chute system in older HDB estate with daily manual collection is a low productivity design and is not cost effective. Residents also often have to live with foul smell during the collection. A modified centralized refuse collection system would increase productivity in town maintenance and reduce the cost of manpower in conservancy work. Energy and water saving solutions for common area.Water and electricity cost is one the big expenditure items in Town Council management. Initiative on water saving device and exploring new source of energy for common area not only can achieve the green effect, but also save cost. This year, there were several incidents of lift breakdowns including one which resulted in an elderly man’s death. Some complained that the WP did not speak up on this issue. However, Low Thia Khiang had raised this issue two months ago during the Budget debates in Parliament (read the full speech here). This was before the recent spate of highly publicised breakdowns and problems. Low: new lifts have high breakdown rate, urge MND to (1) look at quality of new lifts, (2) provide special grant for lift maintenance, (3) regulate for standardised lift design and parts. Desmond Lee: (1) take a look at your Town Council data and find out what the problems are, (2) Town Council should plan their finances ahead and MND is already providing additional assistance schemes, (3) there are over 20 lift brands used and the parts may be very complex. Low: The problem is more fundamental, do we really have a competitive market or in a situation where we are dependent on the lift companies to set pricing on maintenance? Desmond Lee: “If you think there is an issue, raise it to MND and HDB”, be specific. I hope this article has given young adults a better idea of some interesting and recent issues which MP Low Thia Khiang had raised in parliament. If you’d like to stay updated on what WP says in parliament, follow the party’s Facebook Page and subscribe to their regular newsletter – BluePrint which delivers a gist of the questions, speeches and motions in Parliament. This article should not be reproduced without the author’s permission. The views expressed here are my own and do not reflect the opinions of any organization I am part of.